If you have been patiently waiting to get your hands on the new range of Intel NUC mini PCs you will be pleased to know that Intel has this week made available the systems equipped with Core i3 Kaby Lake processors. The new Intel NUC Core i3 Kaby Lake Mini PC systems follow on from the introduction and launch of the cheaper Intel NUC with a Celeron J3455 Apollo Lake system which is priced at around $230. 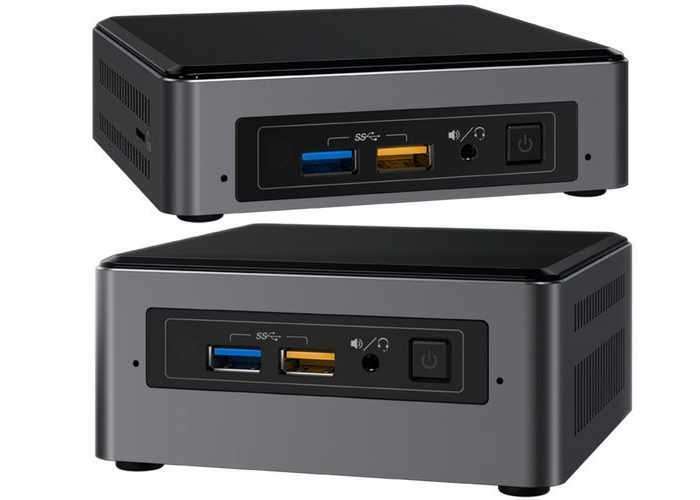 Two versions are now currently available in the form of the BOXNUC7I3BNH NUC Kit or the BOXNUC7I3BNK NUC Kit both of which are available to purchase from the likes of Amazon. Both systems are equipped with an Intel Core i3-7100U dual core processor supported by Intel HD 620 graphics and comforted with Gigabit Ethernet, HDMI and, four USB 3.0 ports, and a USB Type-C port. The USB Type-C port can also be used as a second display output thanks to the DisplayPort 1.2 support.